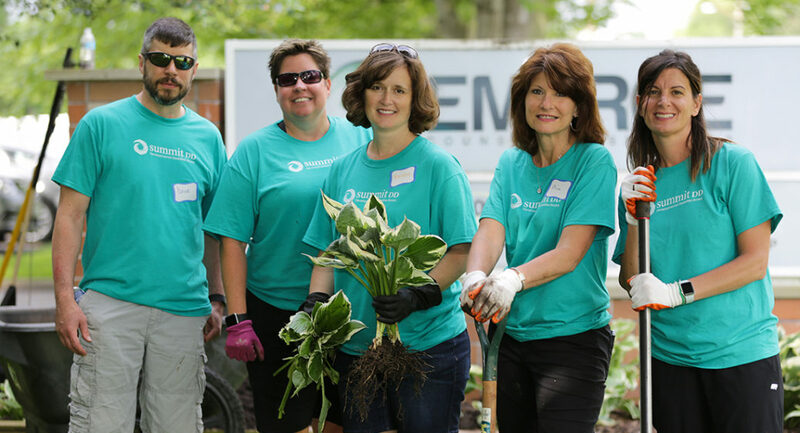 (Tallmadge, Ohio) – On June 5th the Summit County Developmental Disabilities Board, or Summit DD, participated in their 2nd Annual Community Give Back Day. 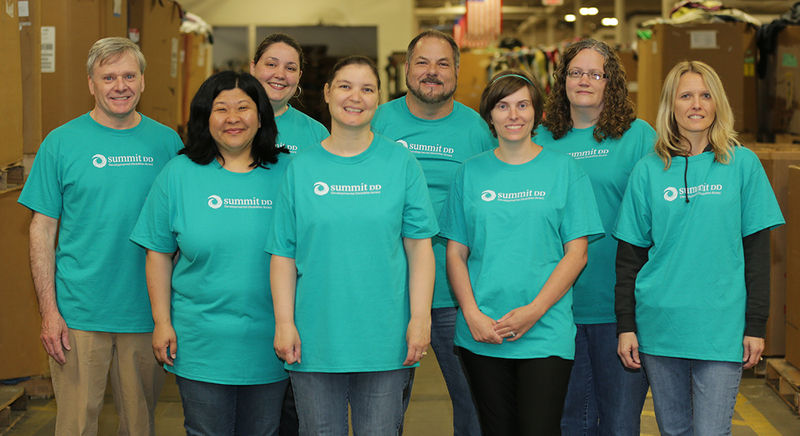 More than 140 Summit DD staff members volunteered at several local organizations including, Haven of Rest, Emerge Counseling Services, Lakemore Parks, and six different Goodwill stores throughout the county. This initiative is part of Summit DD’s strategic direction to build inclusive communities. 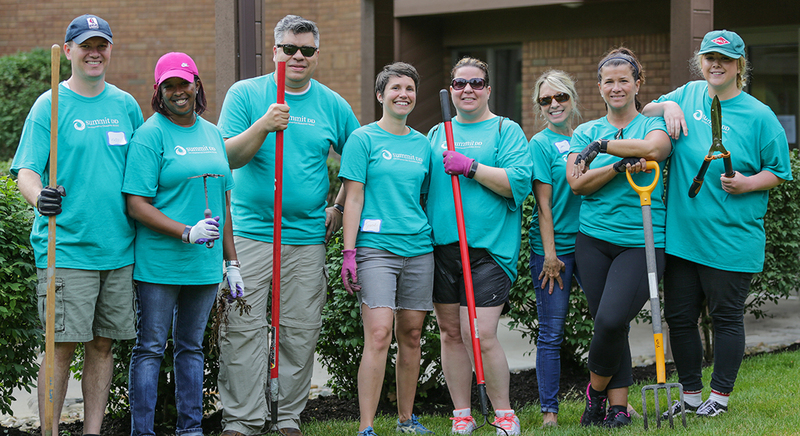 The Agency’s Board launched a new policy in 2016 giving all full-time staff a paid volunteer day to give back to the Summit County community. “We are committed to being a good corporate citizen by partnering with fellow Summit County organizations. Our staff is driven to be active members in their community. I’m proud of their willingness to give back for the second year in a row,” shared Summit DD Superintendent, John Trunk. “We are grateful that Summit DD chose Haven of Rest as one of their sites to volunteer,” shared Lori Morgan from the Volunteer Department at Haven of Rest. “Summit DD has some seriously hard workers! We really hope to partner with them again next year!” commented Colleen Bell, the Director of Education and Marketing at Emerge Counseling Services. Summit DD is the community resource that connects more than 4,000 adults and children with developmental disabilities and their families to services and supports in Summit County. It is the Agency’s mission to connect people with disabilities to supports that empower each individual to contribute to their own success and to that of their community. More information regarding the Agency is available online at SummitDD.org.